Extract audio from DVD to MP3, WAV, AAC, AC3, WMA and M4A. 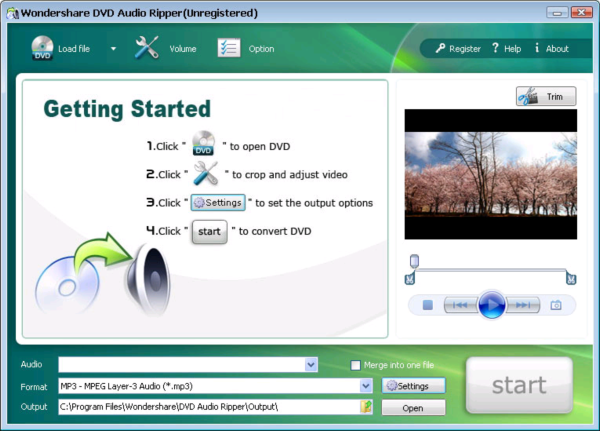 Wondershare DVD Audio Ripper is a very powerful DVD audio ripper program with very intuitive and user-friendly interface. It can rip audio from DVD to MP3, WAV, AAC, AC3, WMA and M4A etc with excellent sound quality.